Guess what came in the mail a few days ago? 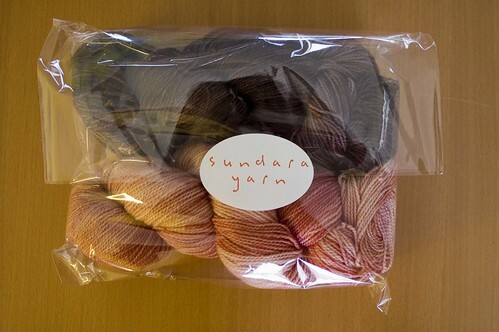 Is that some Sundara sock yarn you spy? It is! 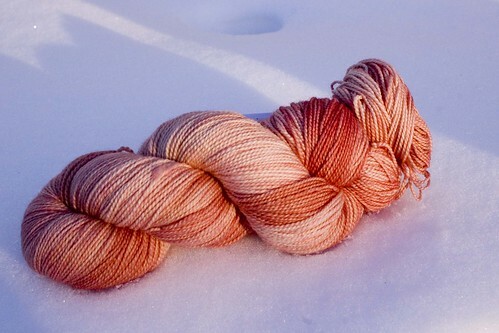 I took it out back, in the pretty snow, in the fading sunset, to get some not very color accurate photos. I white-balanced as best possible, but I'm not sure of the accuracy still. That lovely little number above? That's Cranberry Mousse. 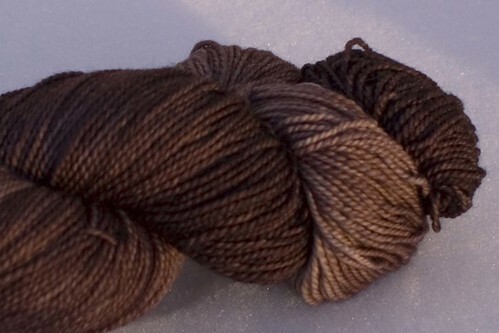 I'm still working on a good picture of the Bittersweet Chocolate, so you'll have to do with the photo I'm posting for now.